Sin soraidh slàn dhan Chamshronach ma tha (uill, soraidh co-dhiù). Prìomh mhinistear a tha a’ fàgail mar dhìleab aon aonadh a tha gu cinnteach marbh agus aonadh eile a tha air an t-slighe a-mach. Nach e a rinn math. Ged a bha e duilich uaireannan uidhir de mhi-chiat a ghabhail ris a’ Chamshronach, bha e soilleir bhon chiad dol-a-mach nach b’ e prìomh mhinistear a bh’ ann an seo ach fear PR. Rinn e corra rud a bha adhartach, ach fad a bharrachd nach robh. Chleachd e cànan ann an dòigh chunnartach, nimheil mu in-imrich, agus bu mhòr am beud nach robh cuideigin dàna gu leòr sin a chur na chuimhne an Taigh nan Cumantan Diciadain. Ach ’s ann mar an fhear a chruthaich agus a cheadaich Breacsat a bhios cuimhne air a’ Chamshronach ann an leabhraichean na h-eachdraidh. Tha e iomchaidh airson prìomh mhinistear a chruthaich e fhèin ann an ìomhaigh Bhlair gur e a mhearachdan agus amaideas fhèin a bhios mar chuimhneachan dha. Dh’fhalbh siud ma tha, agus dè fhuair sinn na àite? Prìofmh mhinistear ùr ann an Theresa May nach do bhòt duine beò air a son – gun fiùs co-fharpais na pàrtaidh fhèin. Tha sinn cleachdte ri ceannardan Tòraidheach as aonais mandat sam bith ann an Alba ceart gu leòr: tha mi fhèin air ceithir dhiubh fhaicinn gu ruige seo nam bheatha, agus ’s mòr an t-adhbhar truas gur e an Camshronach is dòcha am fear as fheàrr a chì sinn a-chaoidh. Nighean ministeir a th’ ann an Theresa agus thathas ag ràdh gur e a moraltan a bu mhotha a tha ga stiùireadh mar neach-poileataigs. ’S e sin an dearbh rud a tha a dhìth anns an 21mh linn: dùthaich a tha a’ tionndadh cùl ri co-chomann farsaing, adhartach na h-Aonaidh Eòrpaich agus Prìomh Mhinistear le brosnachadh a bhuineas don 19mh linn. Tha Theresa a’ cumail a-mach gu bheil Breacsat a’ ciallachadh Breacsat. Ach chan eil ise no duine sam bith eile air mìneachadh dè a bha Breacsat a’ ciallachadh anns a’ chiad àite. A bheil e a’ ciallachadh an aon rud ’s a bha an fheadhainn a bhòt air a shon a’ tuigsinn nuair a thàinig iad dhan cho-dhùnadh? Tha fhios gu bheil e duilich – gu dearbh do-dhèanta – fios a bhith againn mu rùintean dìomhair nam Breacsatach, ach a dh’aindeoin sin tha e glè fhollaiseach gun robh in-imreachd aig cnag na cùise airson mòran. Ach ma tha Breatann dol a thighinn beò anns a’ mhargaid shingilte, feumaidh i gabhail ri gluasad dhaoine. Sin an dùbhlan as motha airson Theresa: a bhith a’ toirt a chreids’ gu bheil cùisean air atharrachadh nuair nach bi iad air atharrachadh idir a thaobh in-imreachd bhon Aonadh Eòrpach. Ach tha fhios gu bheil an deasbad mu in-imreachd san fharsaingeachd air atharrachadh ri linn an reifrinn. Agus tha e duilich fhaicinn anns an àrainneachd ùr seo ciamar as urrainn dha Breatann tighinn faisg air coileanadh an dleastanas a th’ aice mar dhùthaich mhòr, bheartach a bhith na àite a bheir fàilte agus fasgadh dha fògarraich bho dhùthchannan ànradhach an t-saoghail. A’ bruidhinn air ànradh, bidh Boris Johnson a-nis a’ siubhal air feadh an t-saoghail mar riochdaire na Rìoghachd Aonaichte. Tha gu leòr den bheachd gur e amadain a th’ ann am muinntir Bhreatainn as dèidh am bhòt mun Aonadh Eòrpach agus mar sin is cinnteach gu bheil e iomchaidh gur e glaoic a bhios gar riochdachadh air àrd-ùrlar an t-saoghail. Ach tha obair mhòr, chudromach ro BhoJo agus a cho-Bhreacsataich eile anns na bliadhnachan a tha air thoiseach oirnne, oir ’s ann acasan a tha an dleastanas ar stiùireadh a-mach às an Aonadh Eòrpach. Abair smuain. Càite a bheil seo gar fàgail ann an Alba ma tha? Mar a thubhairt Aonghas Robastan ann an Taigh nan Cumantan Diciadain, bidh cuid de na ciad cho-dhùnaidhean mòra a nì Theresa May a’ bualadh gu dìreach air Alba. Tha e glè choltach an ath sheachdain gum bhòt am Pàrlamaid airson Trident ath-ùrachadh, an aghaidh toil gach ball-pàrlamaid ann an Alba. Agus fhad ’s a bhios an sgioba a tha i air stèidheachadh gus Breacsat a chur an sàs a’ tòiseachadh air an obair aca, bidh iad a’ dèanamh sin gun ach taic a’ bheag-chuid ann an Alba. Tha bliadhnachan teagmhach air thoiseach oirnne ann an iomadh seadh ach ’s e an aon rud a tha cinnteach gun lean an iomairt airson neo-eisimeileachd ann an Alba. 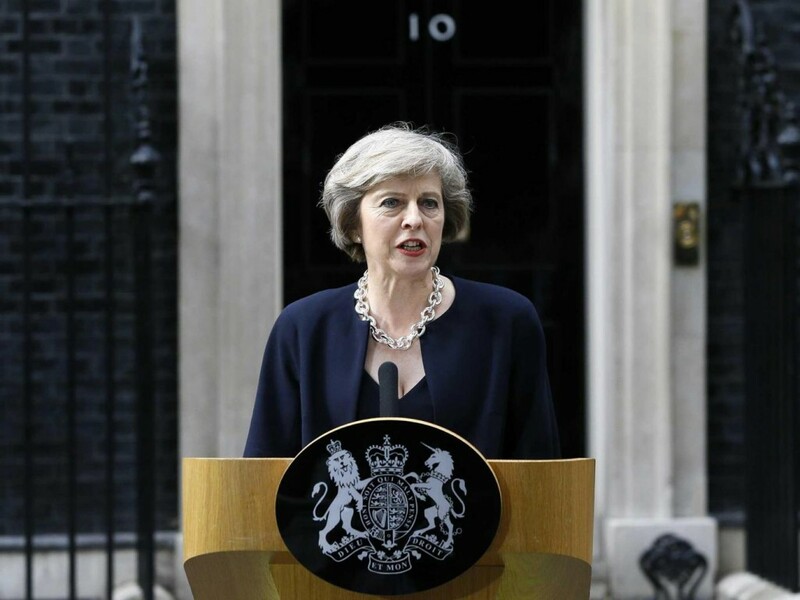 Tha làn fhios aig Theresa May air seo agus sin as coireach gun robh i a’ cur cuideam air an fhacal ‘aonachdach’ ann an tiotal a’ phàrtaidh aice an-dè. Ach tha sinn glè fhada seachad air an ìre far an dèan snìomh luchd-poilitigs Westminster diofar sam bith anns a’ cheàrnaidh seo den t-saoghal. Deagh artaigil – taing. Math gu bheil cothrom ann a-maireach a bhith a’ togail fianais an aghaidh Trident air feadh Alba. “Bidh Boris Johnson a-nis a’ siubhal air feadh an t-saoghail mar riochdaire na Rìoghachd Aonaichte. Tha gu leòr den bheachd gur e amadain a th’ ann am muinntir Bhreatainn as dèidh am bhòt mun Aonadh Eòrpach agus mar sin is cinnteach gu bheil e iomchaidh gur e glaoic a bhios gar riochdachadh air àrd-ùrlar an t-saoghail.” – Hà hà! Is fìor dhut.